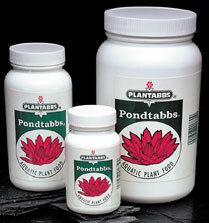 Specially formulated tablets feed aquatic plants and do not release chemicals into the water which cause algae growth. 10-14-8 NPK analysis. Use 1 tab per gallon of soil per month.